Serbian President Nikolic isn’t listening to the EU. He says Serbia wants both Kosovo and EU membership and hopes by repeating this that the EU will give in. 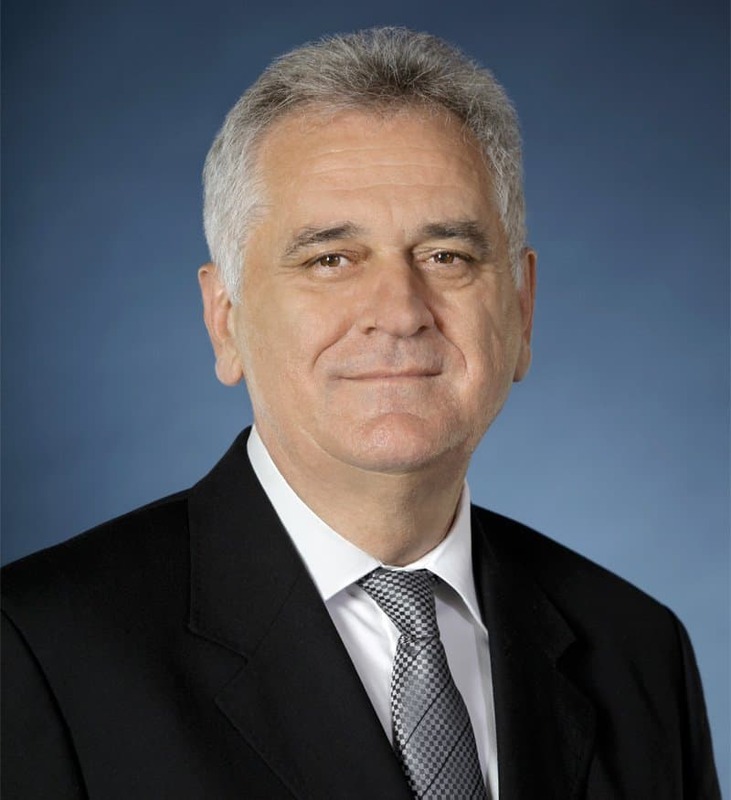 But Serbia’s President Tomislav Nikolic should be quite clear with himself that the European Union(EU) cannot meet his miserable desire because of the simple fact that Kosovo isn’t Serbia’s colony (1912-1999), but an independent and sovereign state recognized by 112 countries of the United Nations (from February 17, 2008 at present-2016). This is main reason why the European Union will never accept Serbia’s request to join it with Kosovo as an integrated part of Serbia. It cannot be done, because Kosovo isn’t Serbia, but a part of Ethnic Albania. The strategic goal of the European Union is to Europeanize Western Balkans countries such as Croatia, Serbia, Montenegro, Bosnia and Herzegovina, Albania, Macedonia and Kosovo. However, the EU’s long term integrative strategy depends on acceleration of the development and democratization of Balkans countries. In this context, there is a big problem for the EU, how to incorporate Serbia as a full member like the other Balkans countries in the future because officially, Belgrade still doesn’t agree with the new democratic philosophical concepts and standards of the European Union. There are several very serious obstacles and reasons why Serbia cannot join the European Union (EU) as a full member like 27 other European countries. Officials in Belgrade try to disregard and minimize those when speaking to Europe and the international community. Although Serbia signed the Stabilization and Association Agreement with the EU ( April 29, 2008 ) as a first step (condition) to be taken in consideration of its candidacy for forthcoming EU membership, there are two main factors that could be affected negatively in fulfillment of its very important dream. According to EU standards and criteria of its enlargement with new members, first, Serbia must clarify interstate relations with its former colony, Kosovo. On 17 February, 2008 Kosovo became a new independent state unilaterally recognized by the United States and European Union, except four EU members Spain, Slovakia, Romania and Cyprus. If Serbia is not yet ready to recognize Kosovo as an independent state, obviously its candidacy to join the EU will only be a big question-mark, postponed for another time. If Serbia doesn’t meet this principal condition recognizing Kosovo as an independent state like the other 112 countries of the international community, realistically it should not be on any list of priorities for economic, commercial, or political support of the EU. Serbia was the main instigator of the recent Bosnian, Croatian and Kosovo wars (1990-1999), and it could yet cause considerable problems and conflicts in the Balkans in the twenty-first century. According to Tomislav Nikolic’s statement, Serbian authorities are willing to join the EU, but only on the condition that the EU is ready to accept their policy that Kosovo returns back under the colonial sovereignty of Serbia (1912-1999). But for EU this absurd and irrational political and diplomatic request is not acceptable because with the United States, they recognized Kosovo’s independence on February 17, 2008. The EU’s message is quite clear and intelligible, if Serbia really wants to turn a new page in its history, towards democratization and peaceful politics. As a first serious step, it needs to move toward normalization of interstate relations with its neighbor countries with which it was at war during the last decade of the twentieth century (1990-1999). Why Is Serbia Still a Problem for Balkans? Serbia is a problem because on the one hand, Serbs want to join the EU democratically and peacefully, and on the other hand they want to keep Slobodan Milosevic’s ambitious political national strategy of Great Serbia, considering still Kosovo as Serbia’s colonial plunder (1912-1999). This is the main problem why Serbia, one day is ready to become a democratic EU member, and the next day, to keep, and openly manifest its nationalist regressive ideas about Europeanization and democratization of Balkans countries. These dusky and ambiguous attitudes and behaviors of the top Serbian authorities are sufficient to doubt that Serbia morally and formally is ready to join the EU as a democratic state according to EU standards and criteria. The EU wants enlargement with new members such as Serbia and Western Balkans countries in the future under its terms, not Serbia’s. In this case, we cannot blame Kosovo in any way, but Serbia, because it still is a problem and a peril for neighbor countries maintaining peace and stability in the Balkans. The above outline says that while Serbia has territorial ambitions toward independent Kosovo, the European Union should not allow it to become full member of the EU. The EU has the right to not accept any other state in the Balkans with unsettled territorial problems as they are Serbia, Albania, Macedonia, Montenegro and Bosnia. This means war to return Kosovo under former colonial and genocidal Serbia (1912-19). For this purpose, Belgrade has also invented dialogue in Brussels within the EU (2013-2016) allegedly on behalf of the normalization of relations between Serbia and Kosovo. This is a political and diplomatic trick even for Kosovo, and for the European Union, because ipso facto, Belgrade doesn’t want any normalization with Republic of Kosovo, only its returning back under the reign of Serbia (1912-1999), of course through dialogue and peacefully with mediation and with the help of the EU. Mehdi Hyseni is an Albanian Ph.D. in International Political Relations, residing in Boston.